Asia House is the leading pan-Asian organisation in Britain. A non-profit, non-political organisation, its geographical remit ranges from Iran in the west to Japan in the east and from the central Asian republics in the north to Indonesia in the south. AT Kearney – One of several commercial organisations which publish information about areas of international commercial risk and opportunity. British Embassies around the World can offer visiting businessmen local support and information. The Foreign & Commonwealth Office has a website page enabling you to find embassies, High Commissions and diplomatic missions around the World. British Expertise is the leading UK private sector organisation for British companies offering professional services internationally. Member companies range from large general consultancies to specialist individuals. British Expertise introduces members to key British and international contacts; identifies potential partners and clients, organises trade missions and offers market intelligence and training for British consultants and contractors interested in export. China-Britain Business Council (CBBC) is a business led partnership between government and industry with a proven track record of developing British trade in China dating back to the 1950s. CBBC is widely recognised and respected at the highest level of both Chinese and British governments. CIA World Factbook – The US Central Intelligence agency (CIA), publishes information on many key characteristics of world markets. Categories include economy, people, geography, communications, transportation and the military. Confederation of British Industry – A membership organisation whose mission is to help create and sustain the conditions in which businesses in the United Kingdom can compete and prosper for the benefit of all. It works with the UK government, international legislators and policy-makers to help UK businesses compete effectively. ContractStore – An online business that provides legal documents for business. 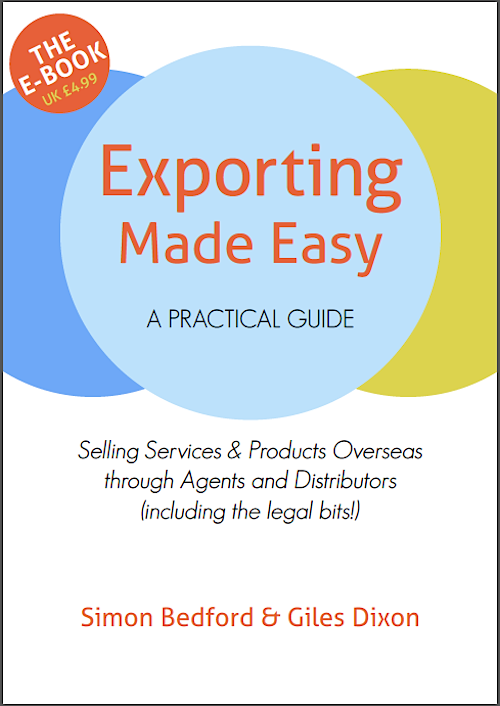 Their 250+ catalogue of contract templates includes cross-border agreements for appointing agents and distributors, letters of intent, joint ventures etc. Corruption Perception Index – Produced by Transparency International Ltd, providing an index of the perception levels of corruption worldwide. International Chamber of Commerce (ICC) is the voice of world business championing the global economy as a force for economic growth, job creation and prosperity. The ICC’s Incoterms rules are an internationally recognized standard and are used worldwide in international and domestic contracts for the sale of goods. Activities also include arbitration and dispute resolution, business self-regulation, fighting corruption or combating commercial crime. International Monetary Fund – Statistics and economic information on the financial aspects of global markets. Institute of Export – A professional membership body representing and supporting the interests of everyone involved in importing, exporting and international trade. Middle East Association – a London based trade association devoted to encouraging trade between the UK and the Middle East – countries covered range from Afghanistan in the East to Morocco in the West. SGB Associates (UK) – Provides practical export training and workshops on agents and distributors and other routes to market; also overseas business consultancy, and international marketing development covering all areas of export strategy. World Bank Group – Doing Business – Contains individual country and regional profiles which focus on regulations, protection of property rights and constraints with quantitative indicators for each. Most interesting is the “ease of doing business” ranking for each country. World Business Culture – Improving levels of cultural awareness can help companies build international competencies and enable individuals to become more globally sensitive. There are some 40 culture-focused country profiles on the WBC website.